Pick-Me-Up Smoothies — Good health has never tasted so good! Smoothies are refreshingly cool and come in a variety of fruity and fun flavors. A nutritious smoothie is made with ingredients like yogurt, skim milk, fruit (fresh or frozen), and soy milk. Although smoothies can also feature a variety of high fat, high calorie ingredients like chocolate, syrups, peanut butter, or ice cream. Be mindful of the ingredients used if planning to adopt a healthy diet plan. So, if you want an in-depth guide to help determine the best smoothie blender, why not read the helpful tips and advice noted below. What type of blender is best for smoothies? Virtually any blender model has the potential to blend the base ingredients (fruits and vegetables) to make a mouth-watering smoothie. But the top-of-the-line blenders are certain to make it easier and faster to produce the best results. Blender models are split into two distinct categories: Countertop and Handheld. A countertop or handheld blender is a must-have kitchen appliance to create the fruit and vitamin-filled smoothies, blended adult beverages and even to get rid of large chunks from soups. Blenders are available at the low and high-end of the market. All you need to decide is the type of features, controls and power that you want from the best blender for smoothies. Countertop Blenders: A preferred choice when it comes to kitchen blenders, with many options to choose between. It is worth looking for one with different settings to do all the things that you need and you will have plenty of styles to find one suitable for you. If a bar blender is something you want, consider flip switches or the pulse buttons and make sure there is the power for crushing ice. You also want a pitcher that is large enough for the family. Some of the easier features include detachable blades, wide-mouth container and markings to read measurements easily on pitchers. Handheld Blenders: A relatively thin and long kitchen appliance. They allow you to submerge the blender into your drink or liquid and can be used for drinks and in hot pans! They are very handy and quick to use; perfect for the smaller jobs that you want done quickly. Most have different attachments for mixing, but they won’t replace the countertop options. What are the best features on a smoothie blender? You can buy stainless-steel, glass and plastic jars and the sizes are from five cups upwards. On a low-budget, you may find that glass jars are out of your range. They are also heavier, but they are more durable and resistant to scratching when compared to plastic options. Stainless steel can look good on a countertop, but they are not clear to see everything you’re mixing. You want the best blender for smoothies to cut and liquefy the majority of your ingredients, but the outcome will depend on the power. Some are perfect for chopping ice while others you will need to slice down the vegetables first. It is possible to buy blenders with power between 300 and 700 watts. 300 watts: Blend the majority of food items. 500-600 watts: Good for smoothies and work on ice. 700 watts: Pulverizes everything into granules. Blenders with 700 watts plus are extremely high powered and perfect for turning things like coffee beans into the fine grounds so you don’t need a coffee grinder. The control panel on a blender will allow you to choose a setting for the type of need you have. Touch pads: If you want something easier to clean, touch pads are perfect for this. They can also include programmable options so you don’t need to guess anything. Push-buttons: A convenient choice if planning to switch between the different settings quickly. However, food can get between them making it harder to clean. Rotary dial: Easier for cleaning purposes than push-buttons. However, you will have to go through different settings to get to the one that you specifically want. Toggle switch: The easiest type to switch between but you will be limited to a couple of speeds. There may be a pulse setting, but not always. The best blenders for smoothies can come with speeds as low as one or two to as many as 16. That doesn’t mean more is better. Three settings that are clearly different will handle the majority of needs. With multiple speeds it will be harder to find a difference between each one. With the right settings, recipes become much easier to cook since the blender does the hard work for you. You won’t need to worry about finely chopping anything or getting the right portion sizes. Stir: This is a great setting for sweets and desserts, including milkshakes. The recipe blends together with the stirring, but still keeps its thick texture. Puree: This is great for soup recipes. It will offer the benefit of eliminating all chunks from a soup that you are cooking. Chop: If you’re making a casserole or soup, you’ll find that you want smaller portions of vegetables or fruits. The chop setting is perfect for that. Mix: This is excellent if you just want to combine recipes easily. 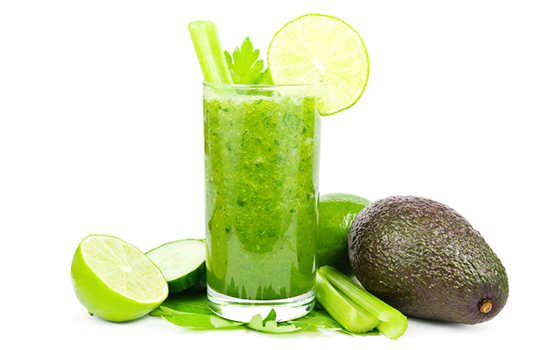 Liquefy: This is used when you want to turn something into a drink, such as making a smoothie. There are now many manufacturers offering blenders. This allows consumers more choice in relation to features, speeds and power capabilities. Waring: The Waring blenders are created with a classic style and the manufacturer has been around for a long time. There is now a good power behind the units. Oster: The appearance of the Oster blender is similar to a beehive and these blenders are perfect for displaying on countertops. Smoothies will be free from ice chunks and they are all safe for the dishwasher. Cuisinart: Cuisinart blenders have a simple control panel that is completely electronic, as well as a measuring cap within the lid. There is a product timer to track the blending time for different recipes and ice crushing is easy. KitchenAid: The KitchenAid range of blenders offers varied features, including dishwasher-safe cleaning, comfortable handles and cord storage capabilities. The design is a classic style, perfect for all kitchens, and the blender will mix all ingredients thoroughly. You need to choose the best blender for the reasons you want to use it. For example, you may be looking for one suitable for smoothie making and here are some suggestions to look out for. You want a blender that has a metal and wide base to offer more stability. When it comes to smoothie making, you need a blender with high power and performance. A 500 watt model is the base minimum that you should accept, but you want more, ideally. This is something that needs to handle ice, berries and other frozen fruit. The higher power will also help to create a creamy texture that is perfect for smoothies. One of my biggest recommendations is looking out for blenders with a glass pitcher that is scratch-resistant. This offers more durability and is much easier to clean. Plastic pitches will scratch easily and don’t usually handle well in the dishwasher. However, if you’re willing to spend a little extra money there are some high-end plastic ones that are durable and perfect for use. For easy cleaning, opt for touch pads instead of buttons. The base becomes one that you can wipe clean instead of getting into the button when things spill. It is also important to look out for innovative functions and something that is easy to use when selecting models. Smoothie making is messy. There will be a lot of stains that need cleaning afterwards. Some come with removable blades, which are easier and safer to clean.